Earlier this year, we invited members to share their personal stories that inspire and embody the joy and possibility of what it means to Live Fearless in an effort to celebrate our members and the many Faces of Fearless who are overcoming challenges each and every day. We received many outstanding submissions about stepping outside of a comfort zone to embrace a new possibility, overcoming an obstacle, or honoring personal truth. 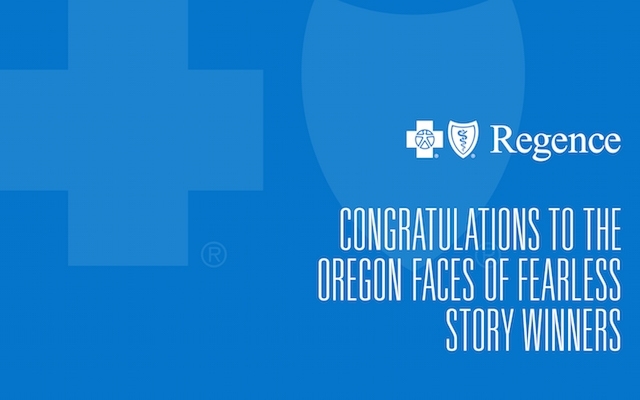 Below are the winning submissions from Regence BlueCross BlueShield of Oregon from members Elivra Hennig and Miriam Richards. On my 27th birthday, 2014 I received a call from my provider informing me about being diagnosed with stage III Hodgkin Lymphoma. A month before being diagnosed my life was advancing full speed. I got engaged, was a full-time student in my 2nd Baccalaureate Program and was working full time. I always thought that I am not a courageous person by nature. I have simply discovered that, at certain key moments in this life, you must find courage in yourself, to move forward and live. It is like a muscle, and it must be exercised, first a little, and then more and more. All the exciting things possible during a lifetime require a little more courage than we currently have. A deep breath and a leap. By the end summer 2015, I graduated from my educational program with the "Outstanding Student Award," and celebrated my incredible wedding in Germany. 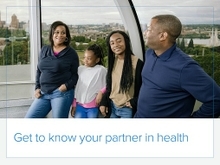 I became a BCBS member after my treatment and was hesitant finding a new oncologist, however, the transition from my previous health insurance to BCBS was very easy. I was relieved to find excellent doctors that help me continue my health program. I have learned that the key to life is accepting challenges. I see my life with different eyes, and I am grateful for every moment I have on Earth next to my loved ones. Miriam’s MS will not stop her from traveling the world and climbing all the mountains she can. She refused to let MS hold her down. After climbing the highest mountains of 23 European countries, this Deaf ASL teacher refuses to give up. After her ankle failed her, she underwent partial ankle replacement. She continues to hike and climb through the pain. Blue Cross has enabled doctors the go ahead to patch Miriam back to allow her to continue her passion. Instead of becoming a couch potato, her goals are set to seek the highest location of each European country. Her third attempt of Alaska is on her agenda for May 2018. Striving for the next climb redirects away from any feelings of defeat to MS. Miriam will not let fear of her condition tempt her off course.